Springfield, Illinois, 1907-1911, 10 ft. x 16 ft, oil on canvas. 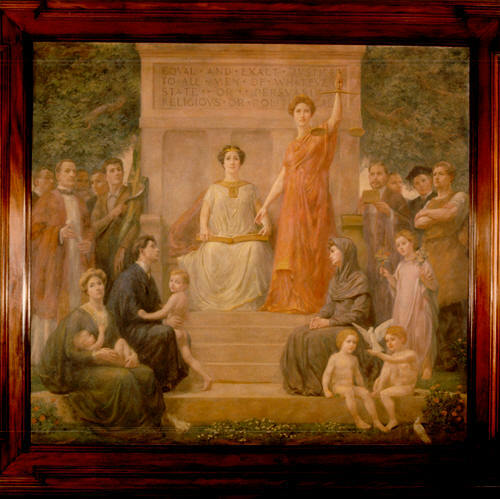 1 Allegories of Justice, The Albert H. Krehbiel Murals in the Supreme Court Building of Illinois, cover article by Lizabeth (Betsy) Wilson; Journal of the Illinois Historical Society, ISSN 0019-2287, Spring 1984; pp. 2 -13.